As pretty as the spring season for which it’s named, this bouquet in pink and green hues is appropriate, not only for Easter, but for any springtime celebration. 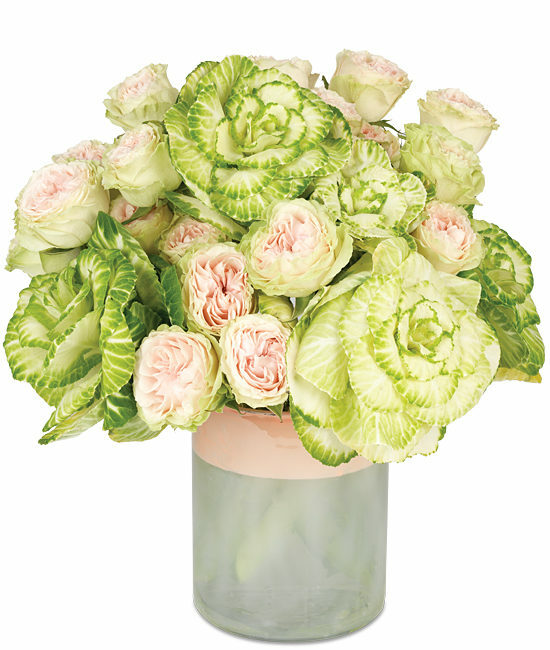 Large, green and white ornamental kale are perfectly complemented by dainty pink spray roses. 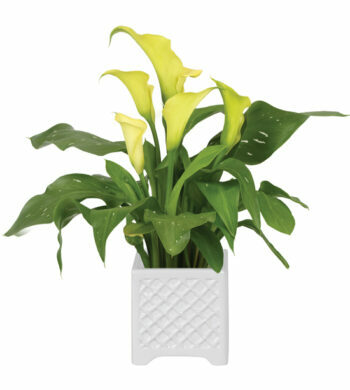 To set it off to perfection, include our white glass vase with pastel border. Remove all leaves that will fall below the water line. We recommend cutting all stems underwater for best results. 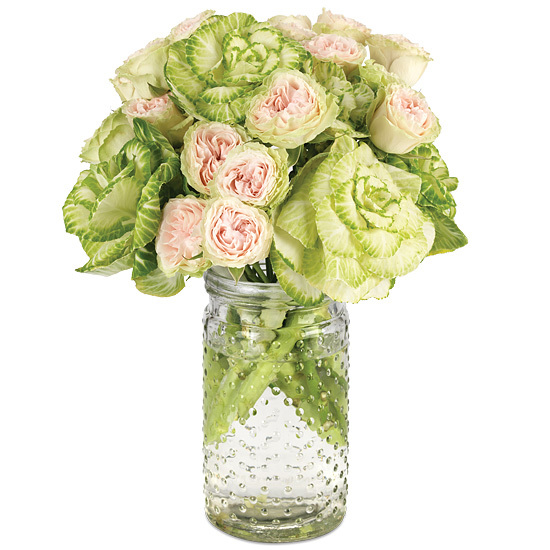 Add fresh water daily and re-cut stems every other day. Easy to grow, kale thrives best when placed in bright sunlight, but it does prefer cooler places so take care to ensure the room in which it is placed doesn’t get too warm. Important Note: This kale is non-edible.